Rock & Metal 4 You: CD-Review: Delain - "Interlude"
It seems like the Dutch Symphonic Metal band DELAIN is unstoppable. In the last years they got more and more attention from all over the world. Beside Europe and Japan they will tour together with Kamelot in the USA in September! You see, they are very busy and maybe this is the reason why they haven't the time to record their fourth regular album. 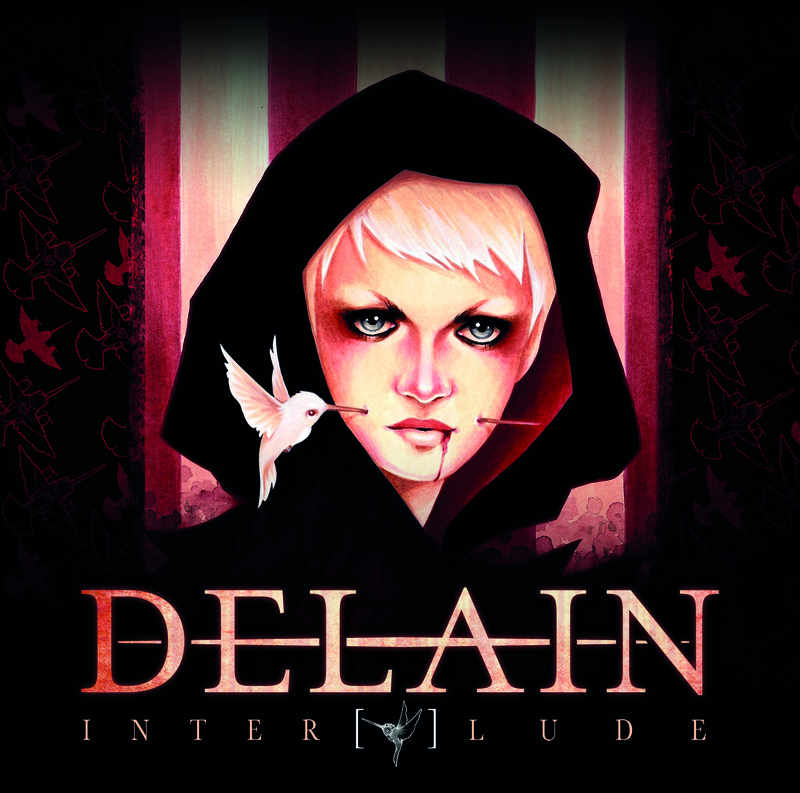 In order to shorting the waiting time to their new studio album they released "Interlude" - a collection of cover songs, new versions of older Delain songs and of course live material. When it comes to such releases, the first thing to ask is always: how many sense makes such a record, because often we have to deal with loveless compilations. That means we get just bonus tracks, which appeared already on older special editions and so on. But I can say: Delain made a very pleasant and sympathic package with "Interlude". "Interlude" starts with two totally brand new songs: "Breath On Me" and "Collars And Suits" will please every Delain fan! These two tracks deliver everything what you love about this band: nice melodies, beautiful orchestration and powerful guitars. And all this is topped by the unbelievable voice of Charlotte Wessels. I can't help myself, but to me she is the best female singer in metal, because her voice is so strong, but also so lovely and Charlotte as a person is so sympathic and likeable and you hear that in each line she sings here. She makes each song very enjoyable. Next song is a single mix of the song "Are You Done With Me". This song appeared already on Delains last album "We Are The Others". I like the album version a bit more, because the single mix is more polished and not so punchy like the original version. This was the same with the single remix of "We Are The Others". Sounded a bit too trendy to me. But anyway - a good song is still a good song and "Are You Done With Me" is one of my favorite Delain tracks. It's the same with the new ballad version of "We Are The Others": I liked the album version the most, but nevertheless Delain made a really beautiful symphonic ballad version of this song. You'll also find three cover songs on "Interlude": "Such A Shame" (Talk Talk), "Cordell" (The Cranberries) and "Smalltown Boy" (Bronski Beat). 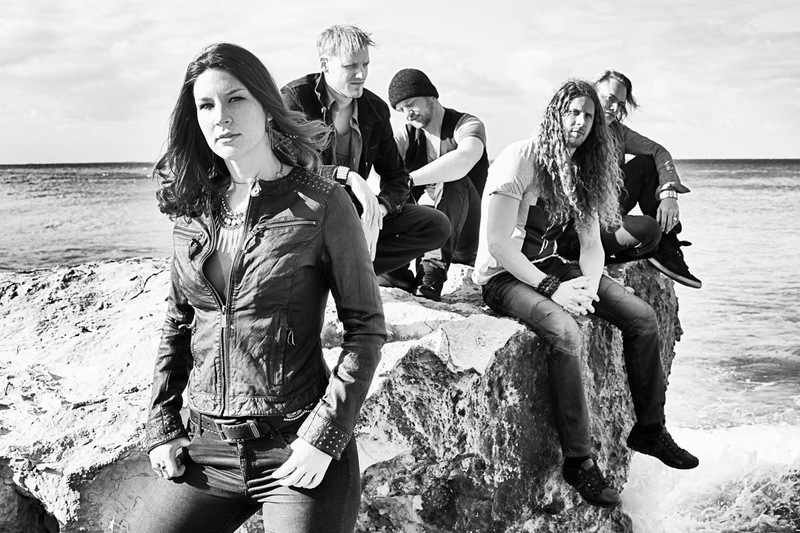 Yeah and Delain show, how cover versions should be done in 2013! They make each song their own and I like their versions more than the originals. Then you know, it's well done! Especially "Cordell" shows Charlotte again in top form. Great ballad, which invites you to dream. The other six songs are all live versions of previous Delain songs and here you see how great this band sounds on stage. All the live-tracks are also pretty well mixed. So soundwise everything is perfect. By the way: most of the live tracks are taken from Delains latest album "We Are The Others". I think here they should have chosen some more songs of their first two albums. But there is also something to complain about: In my opinion there is too much live stuff on this release. I would have liked some unreleased demos from all the previous albums or something like that. Live material always seems to be the easiest way to fill up such compelations and this is a bit sad, because I think Delains archives certainly have much more to offer. Like I said in the beginning: "Interlude" is a really good compelation for die-hard-fans, who can't wait for the next studio album and it's also a good start for those of you, who haven't heared of this fantastic band before. The whole package is completed with a DVD, so you get enough value for your money. 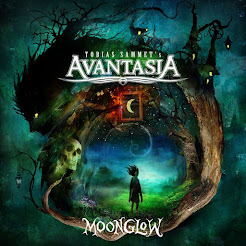 Symphonic Metal fans can buy this blindly, as well as people who love female fronted metal/rock bands. Well done! Regarding the limited edition digipack, I'd like to warn people about the FSK 0 sticker. It’s glued on the front of the cardboard and when trying slowly and gently to pull it off, the cardboard tore. I tried to pull from another side and a small piece also tore. I ended up placing my flatiron close to the cardboard and was able to pull it off but the “D” from Delain is loose. Plus, it seems on the live songs on the DVD the sound wasn't the one recorded in that performance. You can hear Charlotte hold a note sometimes yet she's stopped singing on the video (or it's an editing issue). I just got the promo-release and not the final digipack version, but I can tell you one thing: I hate those stickers too. It's very annoying for collectors like us!